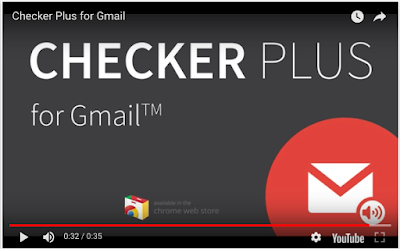 Checker Plus for Gmail is a good Chrome extension you can use with both Gmail and Inbox. 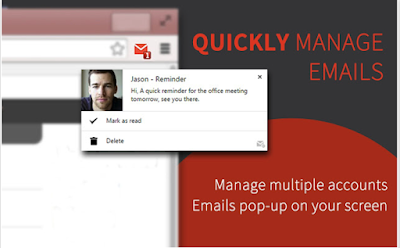 It allows you to access, read and delete your emails without having to open Gmail or Inbox. It also supports multiple Gmail and Google Apps accounts so you can manage all of them from a single place. Once installed, you will start receiving notifications every time you get a new email. You can activate voice notifications to have your incoming emails read out-loud. New emails can also be read from the popup mail preview window without leaving the tab you are working on and from there you have the option to archive, mark as read or even delete your emails. Other interesting features provided by Checker Plus includes: it supports offline view, add your own sounds to customize voice notifications, monitor any Gmail or custom labels and many more. Watch the video below to see Checker Plus in action.